Sharon Lockhart's photographs and films frame the quiet moments and details of everyday life, exploring the subtle relationships between photography and cinema. Much of her photographic work over the past six years has relied on the staging of scenes characteristic of filmmaking; her work has also treated issues of time, sequence and narrative in a style reminiscent of Conceptual art. 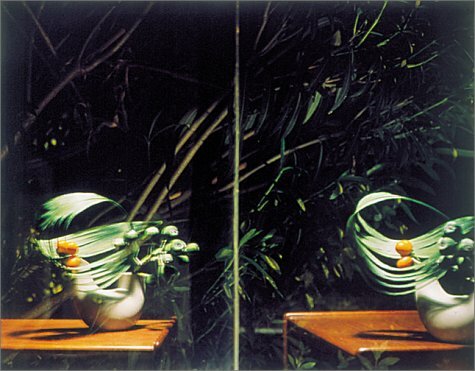 Lockhart's films emphasize the photographic basis of the moving image, often using a fixed perspective to capture unexpected movements and human reactions in a given situation. This catalogue documents the largest and most significant solo exhibition of Lockhart's work in an American museum to date, and focuses on Lockhart's photographic and cinematic work since 1994, including her major film projects Goshogaoka (1997) and Teatro Amazonas (1999). Also featured are essays by curator Dominic Molon and art historian Norman Bryson, focusing on Lockhart's rereading of conceptual photography, and her complex approach to narrative and the gaze. Sharon Lockhart's photography and film work has been widely exhibited in national and international venues. A major survey exhibition of her work was presented at the Museum Boymans van Beuningen in Rotterdam in 1999 and traveled to the Kunsthalle Zurich and the Kunstmuseum Wolfsburg in 2000. She has also participated in numerous group exhibitions, such as the 1997 Santa Fe Biennial and the 1997 and 2000 Whitney Biennials.